Berlin (4.5.2017) – While many banks recommend the purchase of Rheinmetall shares against the backdrop of increasing demand for defence products, the non-governmental organization Facing Finance calls on investors and shareholders to distance themselves from Rheinmetall shares and not to provide the company with more loans. Press release: Billion Euro investments out of control – How banks continue to finance violations of human rights and environmental norms. 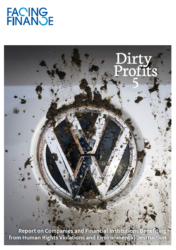 For the fifth consecutive year Facing Finance reports on violations of environmental and social norms and standards by multinational corporations, as documented by international NGOs. 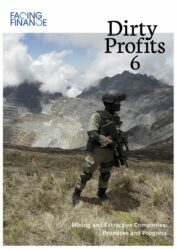 It shows that banks as well as their customers are all too often profiting from human rights violations, exploitation, environmental destruction and corruption associated with these companies. Press release: How fair is my bank? The first free consumer portal rating the social and environmental commitments of German banks sees GLS Bank and Triodos Bank in the lead.